Kevin Shafer is Associate Professor of Sociology and Faculty Affiliate of the School of Social Work at Brigham Young University. 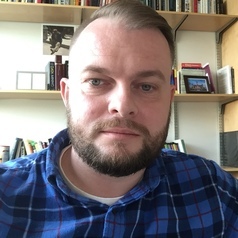 His research addresses: (1) predictors of father involvement; (2) how mental health factors like such as depression and Adverse Childhood Experiences affect fathers, parenting, and child wellbeing; and (3) how contextual factors such as economic wellbeing, experiences of racism, and immigration status influence men’s mental health, wellbeing, and help-seeking behaviors. His research has been funded by the Department of Health & Human Services and several private foundations. His work is currently being integrated into federally-funded intervention programs addressing fathering and men’s health.